I saw a post on Facebook the other day of a hallway with a bunch of doors closed and the caption said “Until God opens the next door, praise Him in the hallway.” I immediately ‘liked’ it because I thought, “Good point,” and I moved on with my day. God continued to keep reminding me of the post. If you have read my past articles, you know that my husband and I are believing for a child. To be specific, God showed me a vision of a son and it changed my heart because I thought I was done having children. 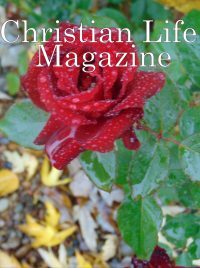 You can read that article in the Feb. 1st edition of Christian Life Magazine online at Christianlifemagazine.org. If you are like myself and God has shown you something that he has planned for your life, or if you are waiting for God to show you the next step, you know it can be difficult. We live in a world that everything is instant. We, to our own detriment, do not have to wait for rarely anything. Everything is at the end of our fingertips with technology. We can order something on Amazon that we decided we needed today, use our credit card and it will be here tomorrow. We no longer have to shop around physically to several stores and find the right price, save up our money (because we can put it on a credit card and pay later), and then either wait weeks for it to be delivered, wait to pay it off on layaway, or go back to the store to pick it up when we could pay for it. This new kind of life has made it hard for Christians trying to live by faith. Hebrews 11 lists many people of God that believed what God had told them and lived in faith. I call this walking in faith. ‘Walking’ is an action word. I do not believe that we as Christians have to do actions to receive salvation, other than making the choice to accept God, but I do believe when it comes to faith, it takes action. First we have to believe what God has told us and then we have to walk it out. We should live in expectancy. God said it, so we are to expect it. God told Noah it was going to flood. Noah had no idea what a flood even was. He could have waited for it to start raining from the sky, before he believed, but then it would have been too late. It took Noah and his family years to build the Arc. Noah expected that what God said was going to happen, so he got busy. He looked crazy to most people, but God said it and he had faith it was going to happen. It had never rained from the sky before, but Noah did not doubt God. There are times when God tells you something and your faith is strong at first. Waiting for a while can be difficult. The devil tries to discount what was said and then you start to question if you actually heard God. Keep your eyes on God and ask Him to continue to show you the truth of what He said. He will continue to remind you of His promises if you ask. It has been several months since God told me that we were to have a son and it can get discouraging every month when we are not pregnant. Sometimes I even remind God, “I am 44 and I am getting older every day.” Like He doesn’t know my age; He knows how many hairs are on my head. God continues to show me little things and touches my heart with little reminders that His promises are true. I don’t know when this miracle is going to happen, but we can rest assured that God did not give me this vision only to break our hearts. God has His best planned for my husband and I and we have to trust that. We need to continue to look to Him with expectancy. We need to continue to praise God for who He is. God is a loving father that keeps His promises. So while you are waiting for God’s promises or even waiting for the next step on your journey, don’t stand still. Continue to expect God to direct your path, expect His promises, and expect God to be by your side through it all. Keep your eyes on God while you are in the waiting and keep moving forward in your faith.